Corresponding Membership of the Australian Society of Plant Scientists recognises overseas colleagues, with a high profile of research achievement in any field of plant science, who have a strong track record of successfully contributing to and promoting plant science research within Australia. Nominations for ASPS Corresponding Membership can be made at anytime to the Honorary Secretary. A one-page summary addressing the above criteria together with a curricula vitae of the applicant must accompany the nomination. The Council Executive is charged with the responsibility of making a determination on submitted nominations and may seek peer advice. Corresponding Membership is for life. With an interest in biochemical and physiological concepts, in animal systems during my thesis and then in plants as a postdoctoral fellow, I wished to interpret established physiological knowledge in molecular terms. This included work on chloroplast gene structure and dynamics of gene expression, plastid protein transport and biochemistry, and chloroplast genome evolution. At the University of Arizona work began that analyzed abiotic stress responses of plants, attempts to define downstream biochemical events that protected plants against salinity or water deficit. Stress elicits complex multigenic responses and, thus, embracing the genomics-type concepts was a logical next step. Now, at the University of Illinois (Urbana-Champaign), the focus is on stress response pathways that distinguish breeding lines, ecotypes and closely related species and attempts to understand the evolution of paralogous genes for ubiquitous functions. The work culminated in elucidating the genome of a salt-tolerant cousin of Arabidopsis (Thellungiella parvula). The outstanding feature of this genome is the duplication of genes that support salt tolerance in contrast to Arabidopsis in addition to single amino acid alterations that increase salt tolerance. Now retired, I life in Tucson, Arizona. The ability to monitor and predict how plants both influence and are influenced by future climatic conditions is critical for the health of our planet and for future food production. My research couples molecular biology techniques with plant physiology and mathematical modeling of photosynthesis to understand the mechanistic processes dictating plant-environment interactions. This research uses a variety of experimental techniques, including field experiments, leaf and whole plant gas exchange, recombinant DNA techniques, biochemistry, and metabolite analysis to elucidate how the interactions of plant light utilization, carbon and nutrient assimilation, and isotope discrimination are influenced by changing environmental conditions. Hans Heldt graduated with a PhD in Chemistry from the University of Marburg, Germany in 1962. 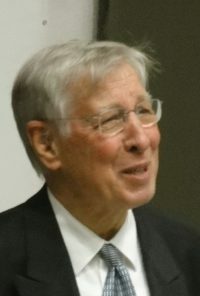 From 1962 until 1968, he held the position of Scientific Assistant at the Institute for Physiological Chemistry, University of Marburg, and then moved to the University of Munich in 1968 as a Senior Researcher at the Institute for Physiological Chemistry and Physical Biochemistry, where he became Professor in 1976. From 1978 to 2002, he was Professor of Biochemistry and the Director of the Department for Plant Biochemistry, in the Biological Faculty of the University of Göttingen. He also served as a representative of the prestigious Union of German Academies of Science on the InterAcademic Panel from 2000 until 2006. Professor Heldt’s research interests focused on the transport of metabolites across cellular and subcellular membranes of plants, the metabolism of photosynthetic pathways, and the use of gene technology to answer questions in these areas. He is the author of Plant Biochemistry, which is now in its fifth edition in German, and has been translated into English, Japanese, Chinese, Russian and Spanish. His work has been recognised by a number of awards, including the Max Planck Research Prize, sponsored by the Alexander von Humboldt Foundation and Max.Planck Society, in 1993. The Lucas laboratory has worked on a number of topics, including membrane transport and mineral nutrition, phloem biology, virus movement and plasmodesmal biology. These studies laid the foundation for the concept that plasmodesmata evolved to mediate cell-to-cell exchange of metabolites and non-cell-autonomously acting proteins (NCAPs) and micro/small RNA species. Presently, the main research focus is on the role of plasmodesmata and the phloem as local and long-distance pathways for the trafficking of information macromolecules. In addition, biochemical and molecular approaches are being used to isolate and characterize proteins that are components of the plasmodesmal supramolecular complex. The molecular determinant underlying protein targeting to and translocation through plasmodesmata are also being studied using genetic and molecular approaches. The long-term goal is to better understand the mechanisms used by plants to coordinate physiological and developmental processes at the whole-plant level. Research Laboratory (PRL), Michigan State University (1968-71), the Biologishes Institut, University of Freiburg, Germany (1971-73), the Research School of Biological Sciences (RSBS), ANU, Canberra (1973-77) and the Carnegie Institution, Stanford, California (1977-79). 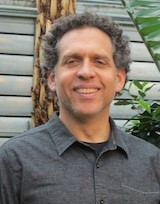 These were followed by faculty positions in Botany and Genetics, at the University of Wisconsin, Madison, WI (1979-87), and the University of California, Berkeley (1987-present), where he is a Professor of Plant Biology, and Research Director at the ARS(USDA)/UCB Plant Gene Expression Center (PGEC), Albany, California. 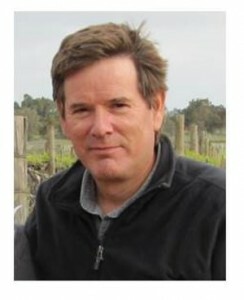 He is a recipient of the American Society of Photobiologists Research Award, the LI-COR Award for Distinguished Contributions to Photochemistry/Photobiology, a Corresponding Member of the Australian Society of Plant Physiologists, recipient of an ISI award for top 15 most highly cited authors in the Plant & Animal Science discipline, Fellow of the American Association for the Advancement of Science, recipient of the Stephen Hales Award from the American Society of Plant Biologists and a Member of the U.S. National Academy of Sciences. His research is focused on defining the molecular mechanism by which the phytochrome (phy) family of plant sensory photoreceptors controls gene expression, and thereby plant growth and development, in response to informational light-signals from the environment. His laboratory has provided evidence that the signaling mechanism involves rapid, direct, intranuclear interaction of the light-activated photoreceptor molecule with a sub-family of basic helix-loop-helix (bHLH) transcription factors (called PIFs), with resultant induction of phosphorylation of the PIF proteins, as a prelude to degradation of the bHLH factors and consequent gene-expression changes. Christine Raines graduated with a B.Sc. (Hons) Agricultural Botany, First Class from Glasgow University in 1982. Following which she was awarded a Glasgow University Scholarship and studied for a Ph.D. in Photosynthesis graduating in1986. Christine’s post doctoral research started in late 1985 at the Institute of Plant Science Research, Cambridge where she initiated a project cloning nuclear genes encoding enzymes of the C3 cycle. 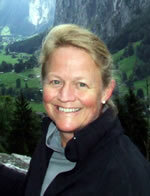 In 1988 Christine was appointed to a faculty position at the University of Essex being promoted to Professor in 2004. 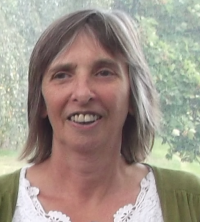 Christine is currently Head of the School of Biological Sciences at Essex. Christine also holds a number of external roles; Editor in Chief, Journal of Experimental Botany (2011- ), Co-Opted Member of UK Plant Federation Executive (2012- ). Past roles include Associate Editor, Journal of Experimental Botany (2006- 2011), Chair of Plant Section, Society of Experimental Biology (2009- ), BBSRC Biofuels Committee (2007/8), EPSRC Bioenergy Committee (2008), Nuffield Bioethics Committee on Biofuels (2009-2011). Christine’s research interests are in the area of plant molecular physiology including the isolation and characterisation of photosynthetic genes, analysis of gene expression and production and analysis of transgenic plants. A major focus of the work in the Raines’ lab currently is on improvement of photosynthetic carbon assimilation in transgenic plants to increase plant yield. 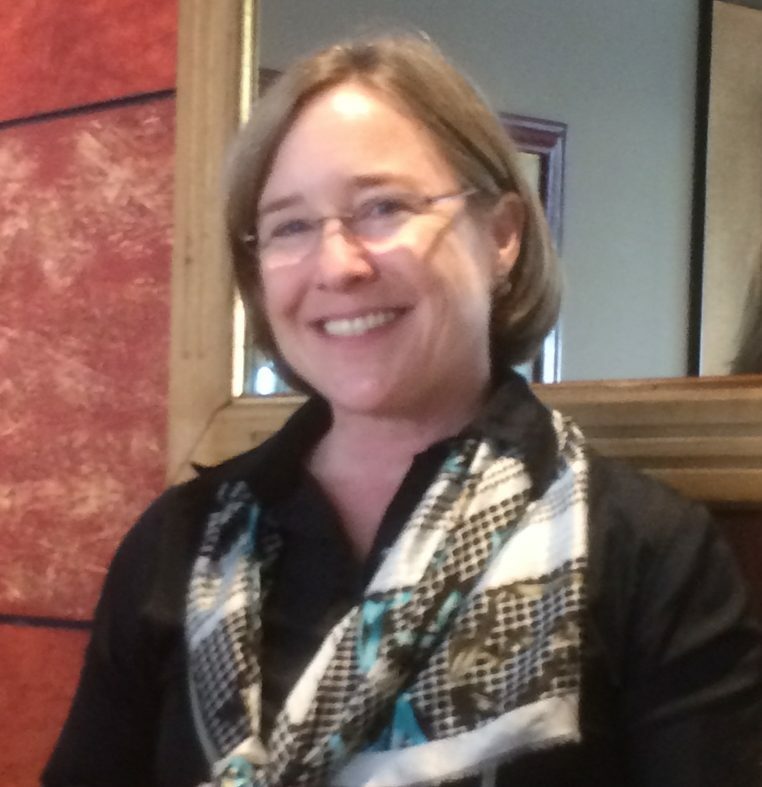 Christine has authored or co-authored approx 70 peer-reviewed research papers and 6 reviews or book chapters. John Raven has researched into plants and algae since 1963, first in Cambridge and from 1971 in Dundee. 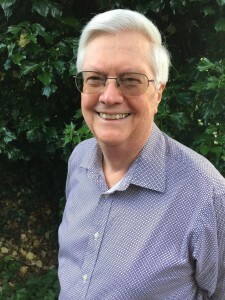 He formally retired in 2008 and is now an Emeritus Professor at the University of Dundee and an Honorary Research Fellow at the James Hutton Institute, Dundee, He is still in science, with frequent research visits to Australia since and past and/or present collaborations with Australia-based scientists in UQ, UTS, Monash University, UTas, ANU, University of Adelaide and UWA. John is an Adjunct Professor at UWA and a Visiting Professor at UTS. His work encompasses acid-base regulation, including the movement of weak electrolytes such as IAA and ABA, and the mechanisms of acquisition and assimilation of photosynthetically active radiation, carbon, nitrogen, phosphorus and iron and the effectiveness of use of these resource in plants and, especially, algae. John also has interests in palaeoecophysiology and astrobiology. He is a fellow of the Royal Societies of Edinburgh and of London and of the Royal Society of Biology, and has an Honorary PhD from the University of Umeå. He holds an Award of Excellence from the Phycological Society of America, and was recognised as a Highly Cited Scientist by ISI in 2002. 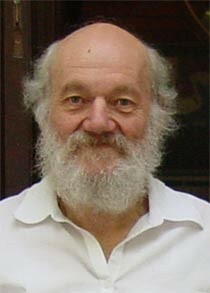 John (with Paul Falkowski) received the Prescott Prize of the Phycological Society of America, is an Honorary Life Member of the British Phycological Society, a Fellow of the Botanical Society of Scotland, a Fellow of the Marine Biological Association and a Corresponding Member of the Botanical Society of America. Rowan Sage is a Professor of Plant Biology in the Ecology and Evolution Department at the University of Toronto. His research addresses physiological mechanisms governing photosynthetic responses to CO2 and temperature, and the ecophysiology C4 plant evolution. He is noted for identifying the number of independent origins of C4 photosynthesis, and for his work on the driving mechanisms of C4 evolution. His lab is currently identifying new intermediate species of C4 evolution in order to better understand how the C4 pathway evolved. 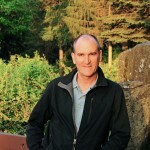 He serves as a handling editor for Global Change Biology, Oecologia and Plant and Cell Physiology, and edited numerous major works on C4 plants, including the highly cited 1999 volume C4 Plant Biology. Prof. Michelle Watt researches the root growth and function of crops. With her Root Dynamics Group at the Research Centre Jülich in Germany, she focuses on understanding root and rhizosphere processes in field and controlled soil conditions using advanced imaging and modeling technologies. They apply this knowledge to discovering traits and designing phenotypic screens for those traits, to select products that improve root function and crop value in economically important agronomic systems around the world. Michelle is a Director of the Plant Sciences Institute (IBG-2) at the Forschungszentrum Jülich in Germany, and a Professor of Crop Root Physiology at the University of Bonn. Prior, she was at CSIRO in Australia, researching root-rhizosphere processes to enhance wheat yield in rainfed agriculture. She has experience in international projects with Australia, India, and USA and in Europe, has had research featured in Nature, Science podcast and New Scientist, and is Executive Secretary of the International Society of Root Research. Michelle did her BSc Hon. and MSc with Prof. Margaret McCully in Canada on rhizosheaths. She did her PhD at the Australian National University with Prof. John Evans, and received Australian Society of Plant Science talk and poster awards for their work on how proteoid roots acquire phosphorus so effectively from soil. Michael Udvardi is Director of the Plant Biology Division at the Samuel Roberts Noble Foundation in Ardmore, Oklahoma, USA. Dr. Udvardi earned his Ph.D. in plant biochemistry from the Australian National University in 1989. He is primarily interested in how plants obtain nitrogen for growth, either as mineral nitrogen from the soil or from atmospheric di-nitrogen via symbiotic nitrogen fixation in bacteria. 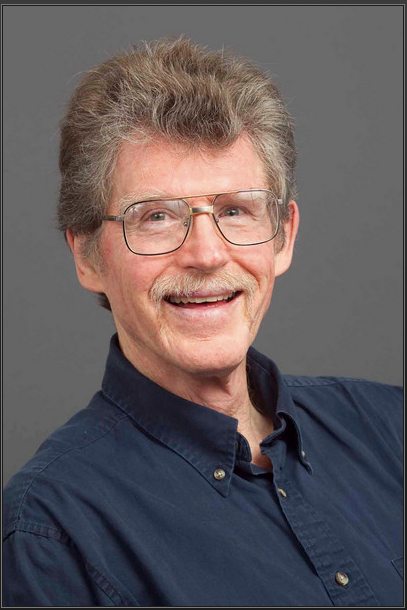 He has contributed to our understanding of symbiotic nitrogen fixation in legumes, especially of transport and metabolism in root nodules, using biochemical, molecular, genetic, and genomic methods. He was amongst the first to characterize ammonium and nitrate transporters in plants. Recently, his group has expanded its work on plant nitrogen to include associative nitrogen fixation, as well as nitrogen recycling during shoot senescence, in perennial plants. His group also has interests in plant acclimation and adaptation to abiotic stress, including drought and salinity. He was part of a large international team that sequenced and analyzed the Medicago truncatula genome and he currently leads efforts to sequence the related alfalfa (Medicago sativa) genome. He is also part of an international team that is trying to develop synthetic nitrogen-fixing symbioses in plants. Dr. Udvardi has published over 150 papers in refereed scientific journals. He was Elected Fellow of the American Association for Advancement of Science in 2012 for his contributions to our understanding of legume biology, especially symbiotic nitrogen fixation. My scientific career started in the department of Experimental Plant Ecology at the Radboud University Nijmegen (the Netherlands). My PhD research had its fundamentals in Ecology and aimed to improve insight into the distribution patterns of Rumex species in flood-exposed river floodplains. Gradually this work focused on the physiological mechanisms that enable plants to cope with complete submergence. Ethylene-induced petiole elongation turned out to be an important trait to survive prolonged flooding events. In 1999 I accepted a full professor position in Plant Ecophysiology at Utrecht University. Here I continued the physiological work and extended it with research questions related to the molecular regulation of under water elongation. Next to Rumex also Arabidopsis thaliana was included as a model species in many research projects. Furthermore, the observation that low light levels stimulate shoot elongation, in a way very similar to submergence, resulted in more research on the impact of low light levels on plant growth. So far this work resulted in more than 170 publications. Ultimately, I hope our work contributes to a better understanding of the fundamental mechanisms through which higher plants acclimate to environmental signals. This will play a role in the selection and breeding of crop species that are more tolerant to environmental stress.